I won’t rest until I’ve swatched every single highlighter known to man. So until that day comes, I’ll keep testing out those pans full o’ glow. 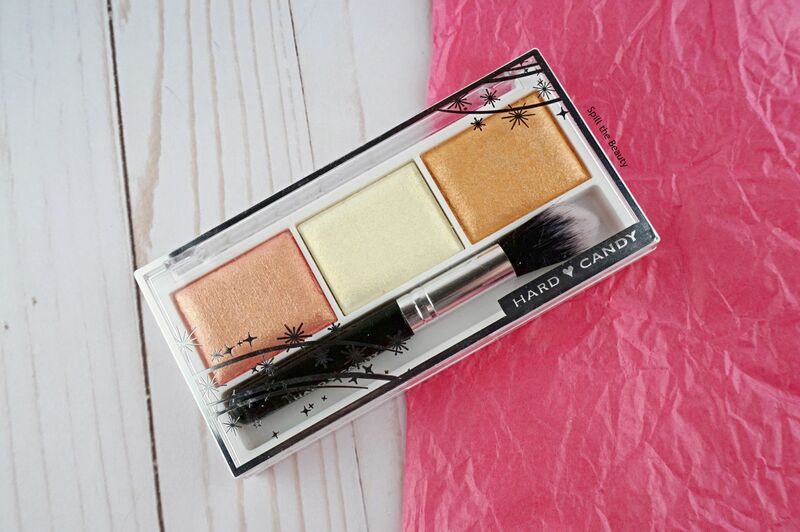 Today I’m trying out the Hard Candy Just Glow! 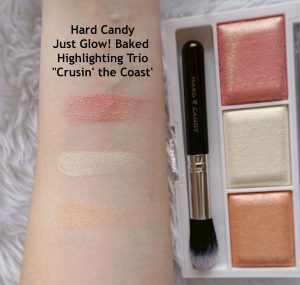 Baked Highlighting Trio in Cruisin’ the Coast. It contains three glittery highlights, with each shade containing 2.8 g of product. The shades don’t have names, so I’ll be referring to them as the left, centre and right shade. The trio comes with a mini highlighting brush. 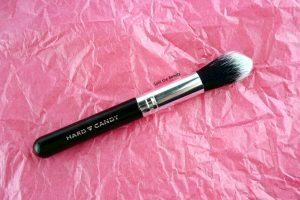 It’s a bit stiff, but the cut of the brush reminds me of my all-time favourite highlighting brush, the Morphe M501. The Hard Candy one won’t be replacing it, but I appreciate the effort. 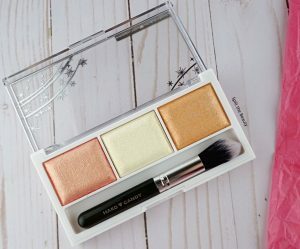 I’m going to start off by noting that all three highlighters contain glitter, which is sometimes a deciding factor for highlight enthusiasts. The left shade is a bubblegum pink with a golden sheen. 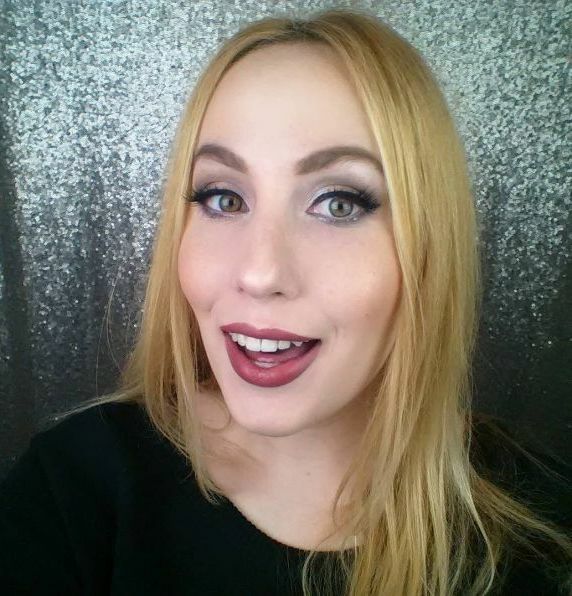 It was very pigmented (a lot of product picked up on the brush, so dip carefully), so I applied it very lightly. Because of my fair skin tone, I think this shade would work best as a blush or blush topper. The centre shade was the most fun of the three. I’d describe it as a lemon-lime that applied nicely. It reminded me of those out-of-the-box shades that you would find in the Kat Von D Alchemist Palette. The right shade is a light creamsicle shade. It was stiffer than the other two shades and was harder to pick up on the brush. I thought it might be too orange, but it was quite sheer. While glittery highlighters aren’t my cup of tea, I think this highlight trio might be a good drugstore option for those who love to sparkle. 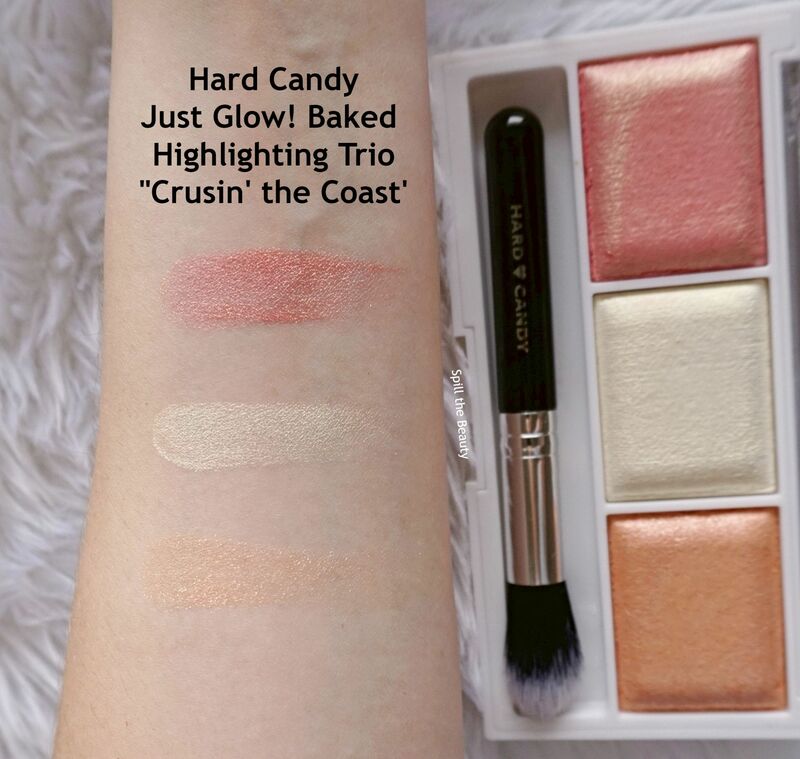 The centre shade is quite unique and I think the right shade could make a nice body shimmer. Do you have any Hard Candy faves? I’m not into glittery highlights. I am interested in the new Covergirl trios.